That's the latest addition. More to come in a few hours after I clean it up a bit. Stop stealing my ideas, *****. It looks great. 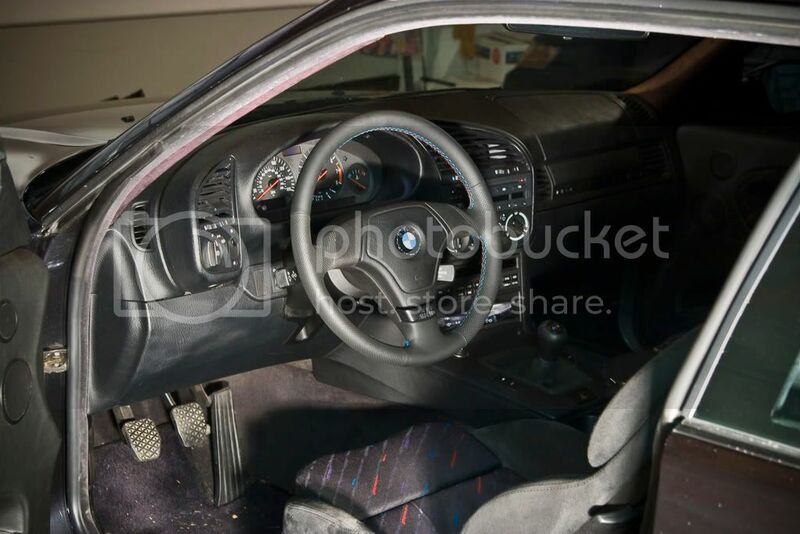 I wonder why he decided to stop wrapping the area directly left and right of the airbag - it's not like the E36 wheel ever had the multifunction controls (only the early E46 one did). Psh...I've had my eye set on this before you bought your car buddy. Looks great! Now, vacuum the carpets! 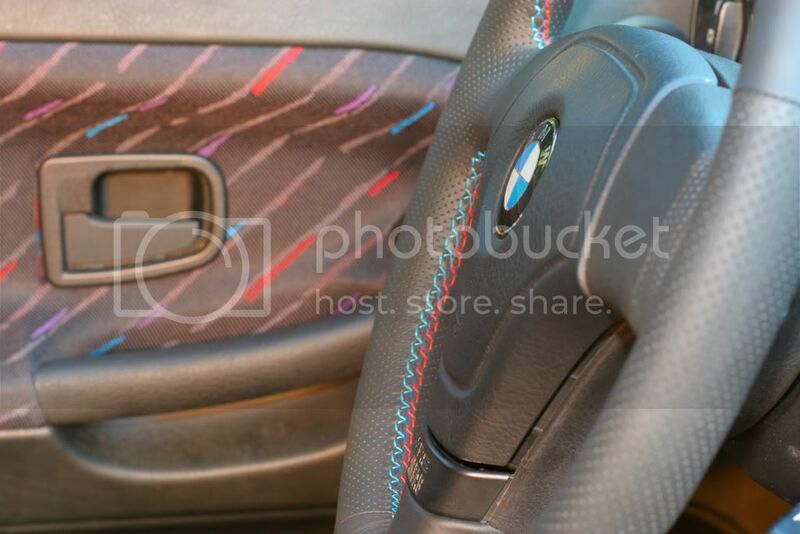 Where are you finding those steering wheels wrapped and with the airbag? Or, how about brand new mats? Alrighty, this is probably going to be more for my purposes than anything else - but here goes. 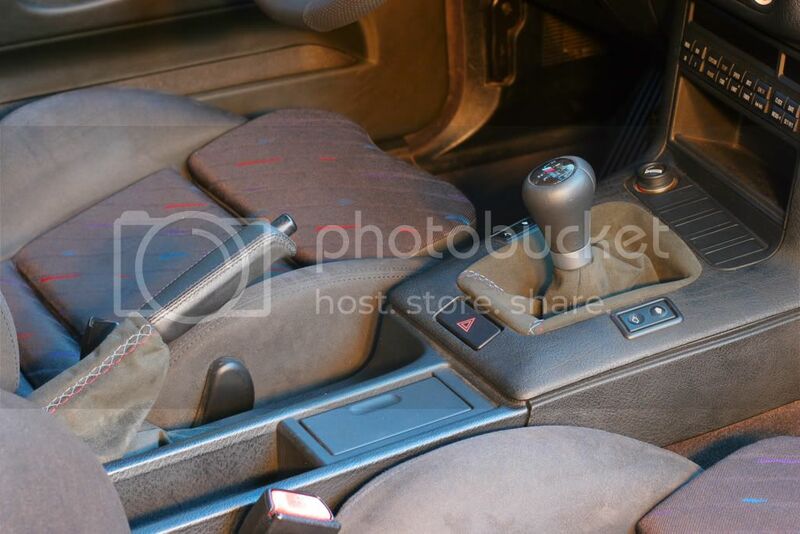 The car is 7/94 build that was ordered as a "no-leather" and "no-sunroof" option. 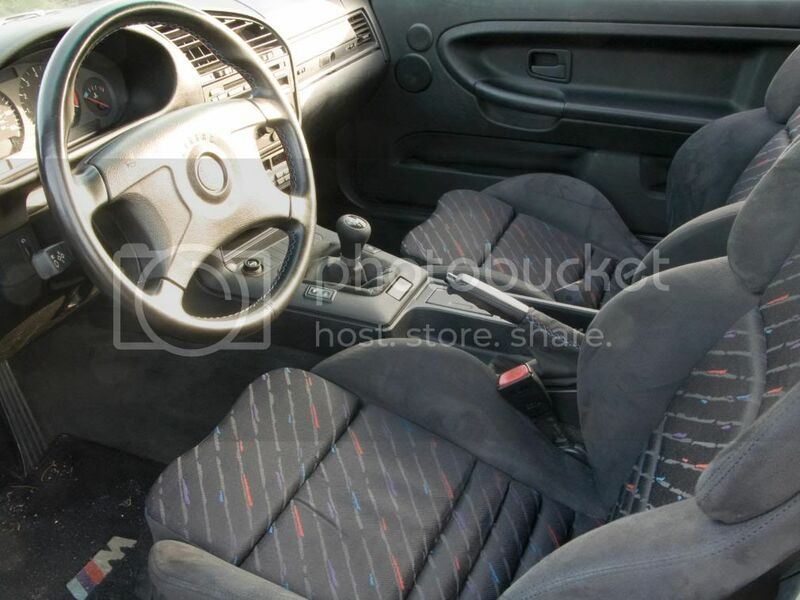 The seats currently in the car ARE the seats that came with the car from the factory. 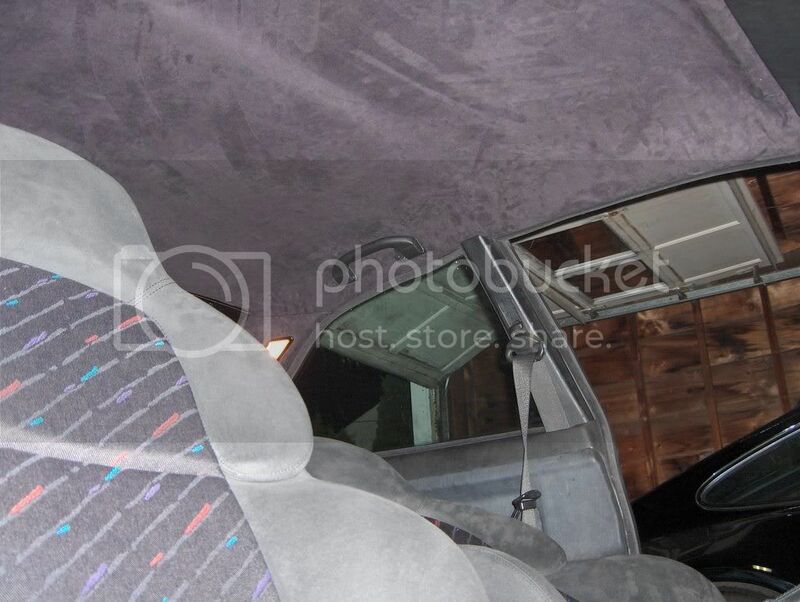 However, the door panels were NOT included in the states. 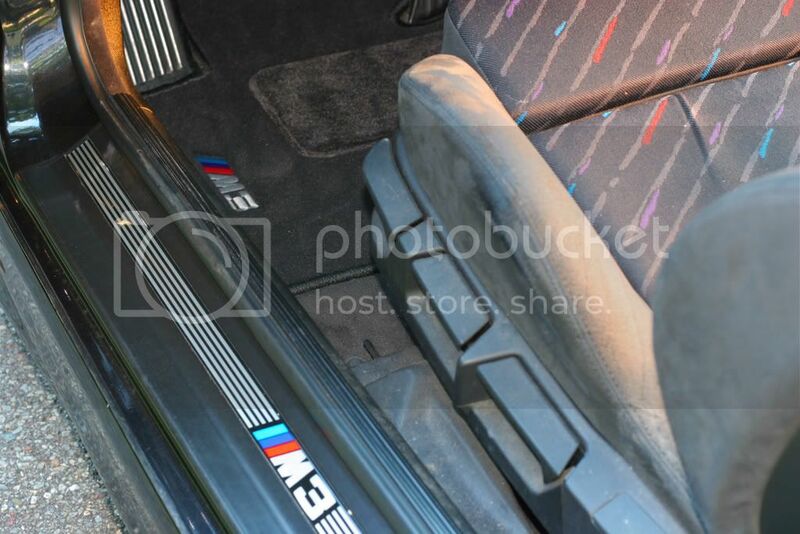 After searching and searching, I was FINALLY able to locate a full brand new set of the OE door panels. 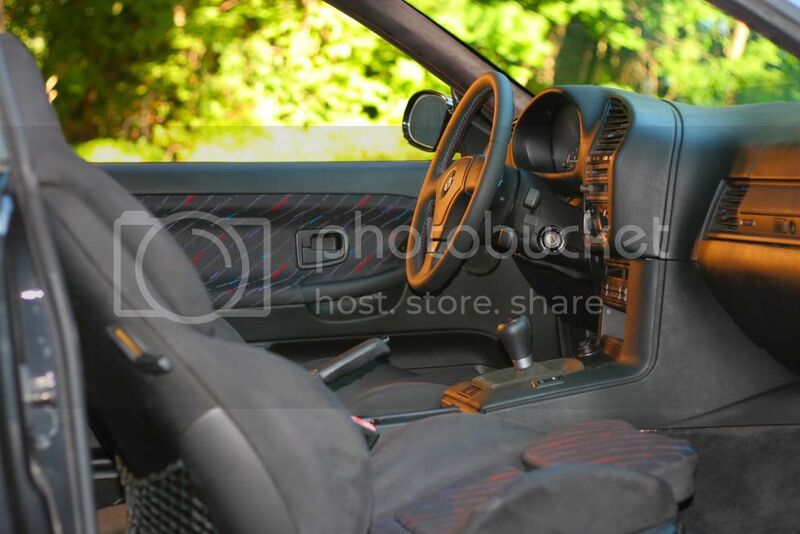 Once I had purchased the door panels (before installing), I purchased a few other bits that I thought would flow well with the interior. 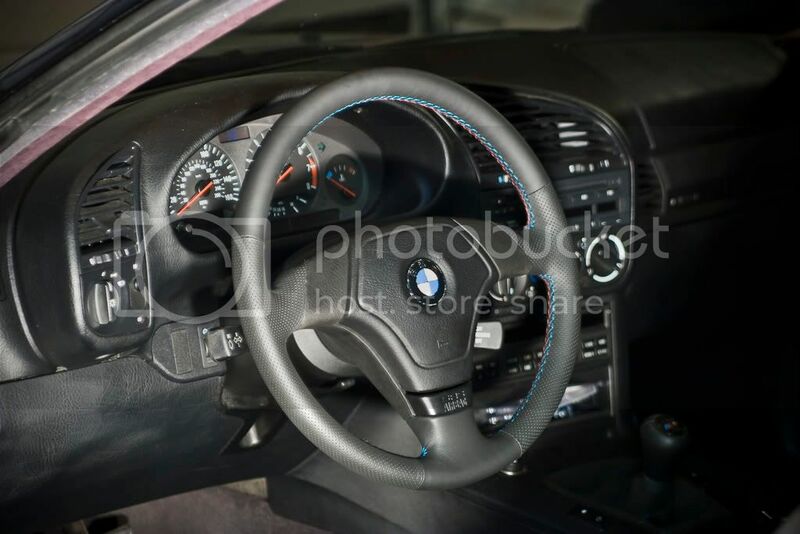 They can be seen in the above pictures, and include the ZHP shift knob along with leatherz.com genuine Alcantara shift and e-brake boots with the tri-stitching. Prior to this, I purchased a new CD43 head unit because I am still "old-fashioned" and would rather put a single cd into dash. 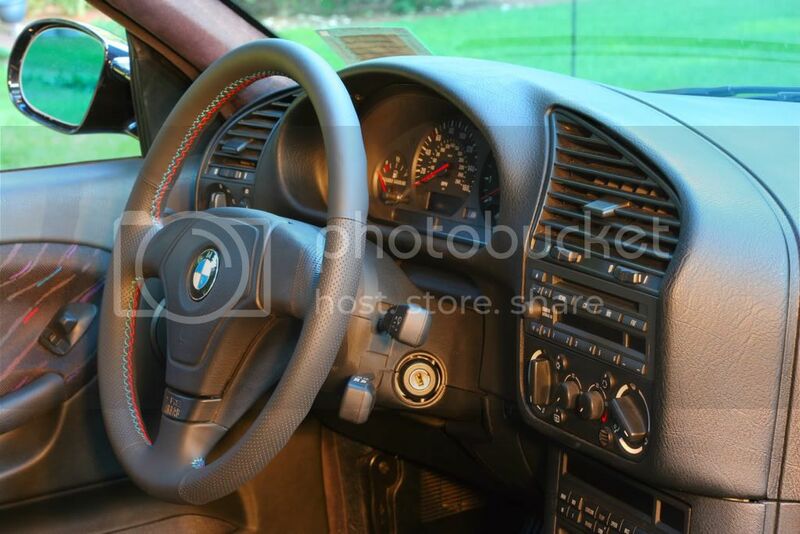 And then I had my eye on this steering wheel I saw on ebay back in October of '07. After doing some research, seeing a few people install them with success, I decided it was my turn! -OE Euro wheel, rewrapped with perforated leather. And next on the list is to fix that bubble above the center vent, I have all of the parts - just waiting to find some time/motivation. wow dude. 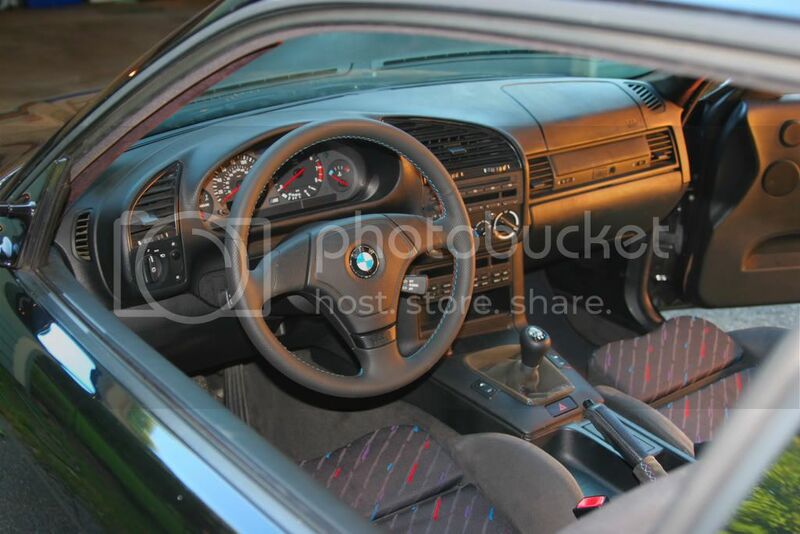 I am normally not a fan of that fruity cloth M interior, but you did a great job. That looks fantastic. great job. 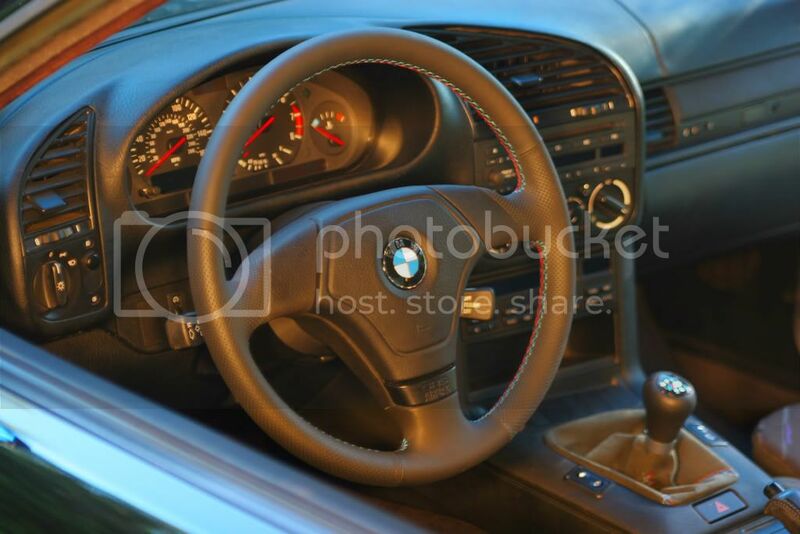 btw where'd you get the wheel? All times are GMT. The time now is 08:03:37 AM.